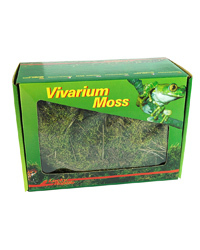 Lucky Reptile Vivarium Moss is perfect for decorating your vivarium and creating places inside your vivarium with high humdity. Soak the moss in water to allow it to take up lots of humidity. It will also look green and fresh.